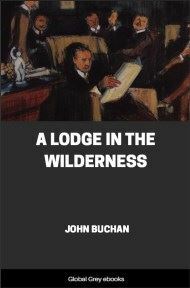 A Lodge in the Wilderness is a 1906 political quasi-novel by the Scottish author John Buchan. The book relates an imagined conference arranged by a multi-millionaire, Francis Carey, to discuss Empire. The guests are contemporary figures from the upper and professional classes, nine men and nine women who have in common superb articulateness, wide experience, and an interest in understanding how Empire might be a positive influence. 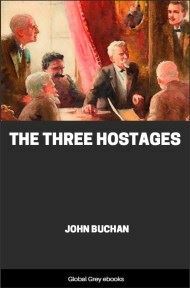 Buchan uses the opportunity to set out a variety of views on political and social issues, and to play Devil’s Advocate. MR FRANCIS CAREY has been long a familiar name to the world—to some people as the most patriotic of millionaires, to others as the richest of patriots. Exiled in early youth to the Colonies for his health's sake, he made a profession of a necessity, and secured in a short space of time bodily well–being and an immense fortune. Few could trace in the square muscular figure of forty–five the pallid and consumptive boy of twenty. By a singular turn of fate he had stood by the cradle of great industries. 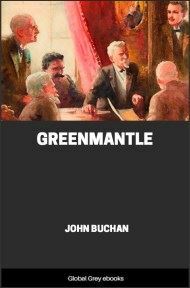 He was the pioneer of the richest gold–mining area in the world, and scarcely less famous were his shipping lines, his railways, his newspapers, his teak–forests, and his vast tobacco–farms. Money made by enterprise was invested with wisdom, and his fortune was already almost out of bounds when it was doubled by the success of a copper venture which bade fair to rival Montana. And yet in the prime of life, in spite of the wiles of many women, he remained a bachelor. Some attributed the fact to an early and melancholy love affair; others, with better judgment, ascribed it to his preoccupation with the fortunes of his country. In Bacon's phrase he had "espoused the State," and found in her a mistress fairer and more exacting than any mortal Amaryllis. In London he had modest chambers on a second floor in Half–Moon Street, but no man owned more lordly country–houses. 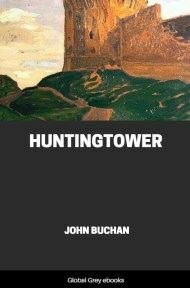 The feudal manors of impoverished English squires, the castles of impecunious Highland chiefs held for him no charms. It was his business, he said, to show the world a more excellent way. At the head of a long glen in the Selkirks, where snow–peaks rose out of pine–forests, he built himself a hunting–box. In a scented Kashmir valley, among thickets of rhododendron, he had another, where lamas and Turcoman merchants, passing on their way from Leh to Srinagur, brought all the news of Central Asia. A bungalow in a Pacific isle, a fishing–lodge in New Zealand, and a superb farm of the old Dutch style in the Blaauwberg, were other of his dwellings. But his true home, if a nomad can be said to have one, was his house of Musuru, on the scarp of the Mau plateau, looking over the great trough of Equatoria. Here, in the midst of a park of many thousand acres, he lived as Prester John may have lived in his Abyssinian palace. He might lounge through the world of fashion in an old tweed coat, but his heart was on the side of magnificence. He sought for romance in life, and found it by the device of importing the fine flower of civilisation into the stronghold of savagery. It pleased him to shuffle unregarded in a London crowd, knowing that over seas half a continent waited upon his will. His amazing energy annihilated space, and he found time in a crowded life to live in his many houses more regularly than the modest citizen who owns a mansion in Bayswater and a villa at Cannes. To the world Carey remained a mystery. Every halfpenny paper placarded his achievements, his arrivals and departures were chronicled like those of Royalty, his speeches in the City and his rare appearances on public platforms drew crowds which were denied to eminent statesmen. But the man himself was obscure. He was rarely seen in society, and country–houses knew him not. Nevertheless he contrived in some way to obtain the friendship of most men and women who were worth knowing. His influence was so well recognised, and yet so inexplicable, that many good people were heard to call it sinister. And yet few had any complaint to make of his doings. He spent his great income generously and prudently on public needs. A vast scheme of education, inaugurated by him, tied the schools of the Colonies to the older institutions of England. One ancient university owed the renewal of her fortunes to his gifts. In the slums his dwellings for workmen had made his name a household word, and at his own cost he yearly relieved the congestion of great cities by planting settlements in new lands. 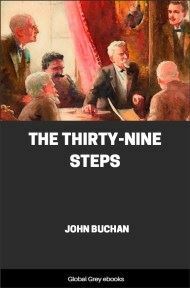 His activity, indeed, was so boundless that, had he figured more in the public eye, enemies would have sprung up out of sheer dullness of understanding. Knowing this, he kept wisely to his humble retirement, that his usefulness might be marred by no private grudges. He was accepted as a kind of national providence, scarcely more to be criticised than the Monarchy. If some called his faith Imperialism, others pointed out how little resemblance it bore to the article cried in the market–place. It was a creed beyond parties, a consuming and passionate interest in the destiny of his people. On one point alone he found critics. It was his habit to take every year a party of his friends to some one or other of his remote homes. Now it would be a band of sportsmen whom he would carry off to the Selkirks or Kashmir for some weeks of unforgettable hunting. 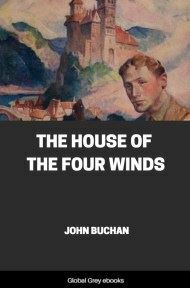 Now he would take a group of his less active acquaintances to his house at the Cape, where in the midst of vineyards and heathy mountains they could find good talk and a complete seclusion from the world. Once in a while he would have a gathering at his East African dwelling, and these were the choicest of his entertainments. The guests who were fortunate enough to share his hospitality came to form a set by themselves, bound together by the tie of delectable memories. Their enemies christened them "Careyites," and said hard things about the power of the purse; but the coterie was too large, too distinguished, and too representative to be sneered at with impunity. The Radical journalist found nothing to cavil at in the man who, so far as he saw, lived simply and wrought effectively for the poor. The Tory member could not speak ill of one who was so noted a sportsman and so generous a host. The plain man could only admire a figure of such vitality, who was original even in his pleasures.